"The Encyclopedia of World History: Ancient, Medieval, and Modern, Chronologically Arranged"
For decades William L. Langer's best-selling ENCYCLOPEDIA OF WORLD HISTORY was the indispensable, authoritative guide to all of human history. Now, under the direction of a distinguished new editor, comes an updated and dramatically improved version for a new generation, the only encyclopedia of its kind with a bound-in, searchable compact disc of the complete text. The result is a wholly accessible, absorbing canvas of world history that no student, scholar, or amateur historian should be without. 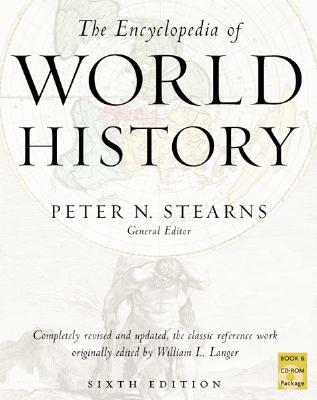 Renowned historian Peter N. Stearns and thirty prominent historians have combined their expertise over the past ten years to perfect this comprehensive chronology of more than 20,000 entries that span the millennia from prehistoric times to the year 2000. With a unique format that has won it generations of fans, the ENCYCLOPEDIA continues to feature chronological entries grouped by geographic region, allowing readers to get an in-depth view of distinct events along with a virtual time line of human history. But this new edition is much more than an expansion of a classic; it reflects important recent changes in historical trends and historical thinking. In addition to showcasing traditional facts of national leadership and state power, the Encyclopedia embraces social and cultural developments, non-European history, women's history, religion, health, economics, technology, and other vital but less often reported aspects of the human drama. Here is a chronicle not only of major political events but of ordinary people, covering shifts in the relationships between men and women, developments in leisure, and demographic currents. And for all periods there are summaries of global developments that cannot be captured in national or regional frameworks. As editor Stearns notes in his preface, "The world we know historically has greatly changed. The revisions that animate this edition celebrate this change, benefiting from the labors of countless venturesome scholars over the past several decades." A masterwork whose roots date back to the nineteenth century, this exciting volume belongs at the elbow of every history lover and of anyone who has ever been curious about our constantly changing, remarkably diverse human story. 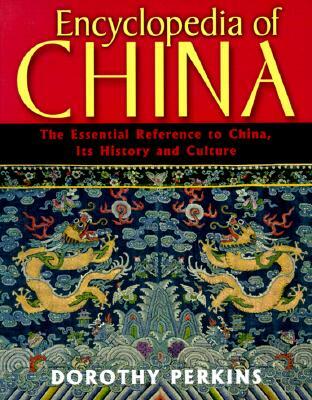 Title: "The Encyclopedia of World History: Ancient, Medieval, and Modern, Chronologically Arranged"
Author Name: Stearns, Peter N.
"Encyclopedia of China: The Essential Reference to China, Its History and Culture"